Choose from a wide selection of Golf Headwear embroidered with your logo. Men's and ladies embroidered golf hats are customized with your logo or personalized with your branded message for your next golf tournament, event, or outing. 4. Your Logo Golf Headwear will be produced and shipped followed by a tracking number sent by email. Callaway Full Zip Fleece Vest with your Logo. An excellent choice for layering, the thermal fabric of this Callaway vest provides just enough warmth, and the spandex blend stretch fabric also allows for a full range of motion. 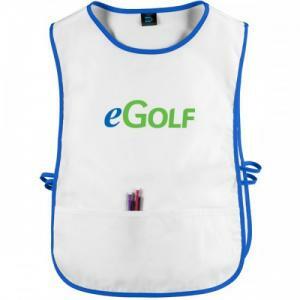 It features a right che..
Ladies Callaway Edison 1/4-Zip Pullover. Essential for active women, this lightweight base layer piece is perfect for everyday adventures. 92% Nylon / 8% Spandex moisture wicking mock pullover, 1/4 Zip with Callaway Logo Zipper Pull, stretch fabric, cover..
Callaway Ladies Full Zip Wind Jacket Embroidered with your Logo. Opti-Repel™ garments resist wind and water, creating a barrier of protection against inclement weather. This full-zip jacket with Callaway logo rubber zipper pull, two front pockets and..
Callaway Ladies Full-Zip Waffle Fleece Jacket Embroidered with your Logo. Opti-Therm™ fabric is designed to withstand the cold and provide a layer of thermal comfort. This ladies' waffle fleece jacket features a full-zip with contrast zipper binding ..
Ladies Callaway Micro Pique Chev Polo. 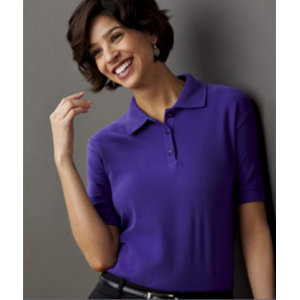 Versatility and color makes this polo a wardrobe essential 4.7 oz 100% Polyester Moisture Wicking double Knit Micro Pique Rib Knit Collar and Open sleeve 4-Button Slim Line Placket with Callaway Embossed Buttons. Rol..
With this Tour Authentic jacket in your closet, you're ready for whatever the elements might bring. 100% polyester high gauge, fleece backing technical soft shell. Brushed fleece backing for thermal insulation. Breathable wind blocking membrane. Full leng..
Ladies Callaway Tournament Wind Jacket. Resists wind and rain to keep you comfortable during all your adventures. 100% Polyester Microfiber Body,100% Polyester Mesh Lining, Open Bottom with Drop Tail and Adjustable Toggles, Side Seam Zipper Pockets, Elast..
Callaway Ladies' Stretch Performance Full-Zip Jacket with your Logo. This stretch performance jacket features Opti-Dri™ technology which transfers moisture away from the body to keep you cool and dry. The UV Repel™ technology keeps skin safe from the..
Callaway Stretch Performance Full Zip Jacket with your Logo. This stretch performance jacket features Opti-Dri™ technology which transfers moisture away from the body to keep you cool and dry. The UV Repel™ technology keeps skin safe from the sun's h..
Callaway Tundra Zip Stretch Pullover Shirt with your Logo. 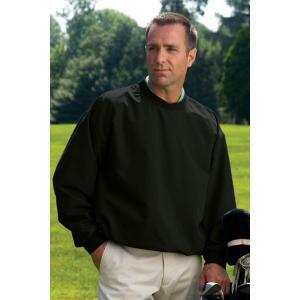 This men's Callaway Tundra 1/4-zip stretch pullover is made of thermal fabric which provides an extra layer of warm comfort. The stretch fabric moves with you to increase your range of motion..
Callaway ¼ Zip Wind Shirt Coat with your Logo. Opti-Repel™ garments resist wind and water, creating a barrier of protection against inclement weather. Opti-Stretch™ provides ease of movement with polyester/spandex fabric placed at elbows and back sho.. CORE 365 Ladies' Techno Lite Unlined Vest. 2.3 oz. / 78 gsm 100% polyester pongee; Water-resistant finish; Center front reverse coil zipper with autolock slider and reflective toggle; Lower concealed pockets with zippers; Adjustable shockcord at hem;..
Ladies 1/4 Zip Water Repellent Pullover Shirt with your Logo. This pullover features stretch reflective tape with overlock stitching across the shoulders, a back yoke, forearms which allow for a greater range of motion, a contrast Zipper with Callawa..
Embroidered Callaway Ladies Micro Stripe Polo - Golf Tournament Gifts..
Ladies' Callaway 1/4 Zip Mock Pullover Shirt with your Logo. Fashion meets function with this lightweight pullover. It is made of 5.3 Oz. 90% polyester/10% spandex french terry knit fabric. The Opti-Dri™ technology transfers moisture away from the bo..
NORTH END Ladies' Techno Lite Activewear Vest. 100% 240T polyester, 2.7 oz./yd2/90 gsm w/water resistant finish; LINING: 100% polyester mesh ; piped contrast side panels; stretch binding finish on armholes; on-seam front zippered pockets; concealed b..